The H-IIB Launch Vehicle No. 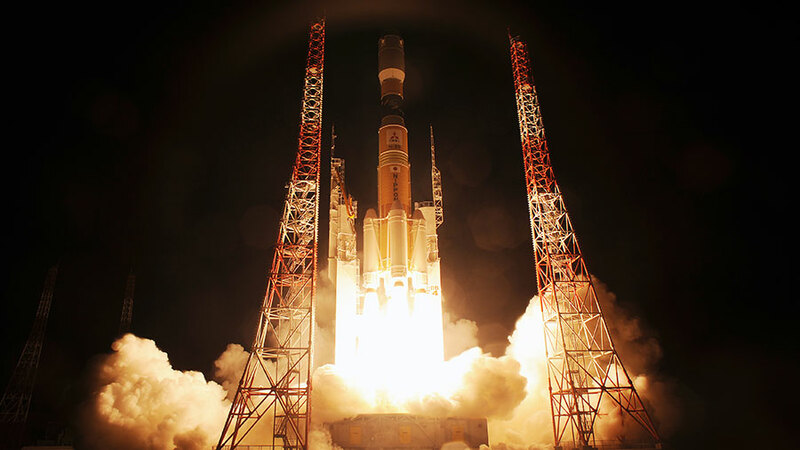 4 with the Kounotori-4 (HTV-4) onboard lifted off from the Tanegashima Space Center on Aug. 3, 2013 at 3:48 p.m. EDT (7:48 pm UTC; Aug. 4, 4:48 a.m. Japan time). The Japan Aerospace Exploration Agency (JAXA) has delayed the launch of an H-IIB rocket with the H-II Transfer Vehicle (HTV)-5 onboard due to unfavorable weather forecast for the original launch date of Sunday, Aug. 16. The new launch date is set for Monday, Aug. 17 at 8:35 a.m. EDT from the Tanegashima Space Center in southern Japan. Loaded with more than 4.5 tons of supplies, including water, spare parts and experiment hardware for the six-person space station crew, the unpiloted cargo craft, named Kounotori, Japanese for “white stork,” will travel four days to reach the station on Friday, Aug. 21. Live coverage of the launch begins will begin at 7:45 a.m. on NASA Television and https://www.nasa.gov/ntv. Join the conversation on Twitter by following @Space_Station and the hashtag #ISSCargo. To learn more about all the ways to connect and collaborate with NASA, visit: https://www.nasa.gov/connect. I will keep an eye on this launch. I hope it will be sale and smooth.